Ice Blue Princess Dress. 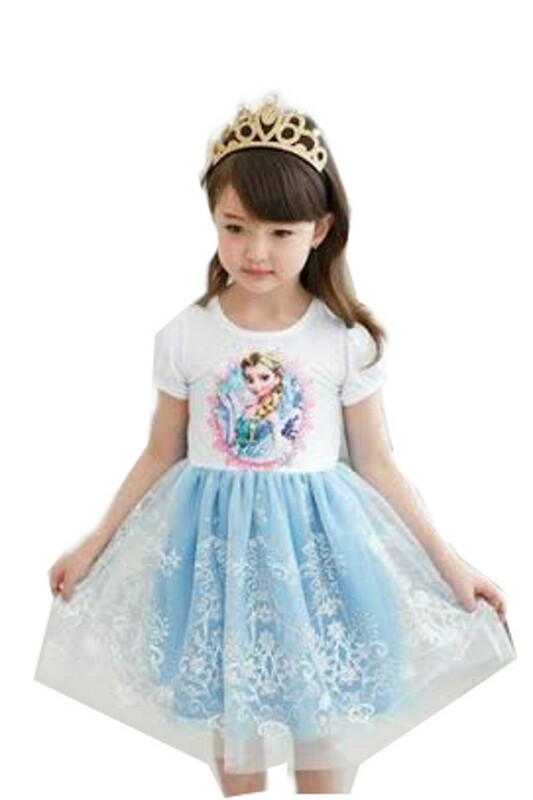 Girls pretty tutu dress, short sleeves with mesh embroidery designs overlay. Dress has a soft tulle skirt and a silky lining underlay. Perfect gift for dance, parties, holiday or just daily wear. Crown sold separately.